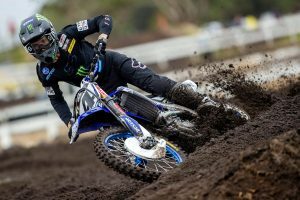 CDR Yamaha Monster Energy Team’s Dean Ferris made it five victories from five round at Murray Bridge’s fifth stop of the Pirelli MX Nationals in South Australia, while Serco Yamaha’s Wilson Todd earned his second-consecutive overall win in MX2, strengthening his points lead in the process. It was a tough weekend, I always know coming into Murray Bridge that it’s really about the starts and the nature of the track kind of brings us all together. I was good in practice and I only missed out on Super Pole by 0.1s or something. The first moto I kind of made it tough for myself, I stuffed up the second corner and I was about sixth – I made some quick moves and had to work on my teammate for a while and then I had to work on Clout for a long time – I was happy to get the moto win. Race two I was second off the start and nothing really happened – I ran out of rolls and I was playing with my goggles for most of the moto – the roost was just so heavy that it kept getting into the rolls a little bit. I was second in the moto and I felt I rode maturely. I got the overall – the win streak comes to an end and everyone started to talk about it, but I honestly think it was a bit premature. I still got the overall and I’m five from five – it’s the perfect start to the first half of the championship. 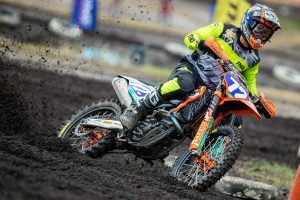 In that second moto it really looked like you put on a charge in the closing stages, but an opportunity to get by Mosig was never really presented. 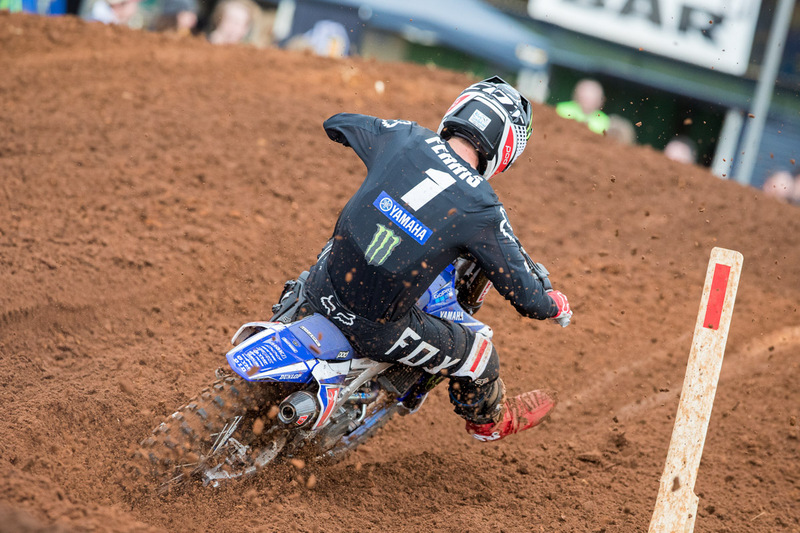 I feel like for most of the moto I was waiting for an opportunity or to make a game plan, but nothing really came to me, so I had to push on the last few laps – it was really tough because I was out of rolls for a long time and it felt like I was looking through a straw hole to try and see where I was going. The only thing I could really do was to apply enough pressure and hopefully make something happen, but it’s fair play and I tried everything. I felt like I wasn’t really 100 percent on on the weekend, but I’ll go back and make sure I definitely bring my A game at the next round. Your lead in the championship almost has you a full round clear of the field, what sort of mindset does that put you in for the break? It doesn’t really change anything – I need to make sure I remain focused more than ever in the break to try to and improve on things that we can. Everyone probably looks from outside and thinks you can’t do any better, but I believe I can – so that’s what I’ll be striving for in this break. 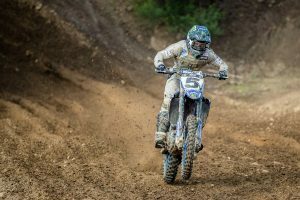 You’re heading over to Western Australia for the Manjimup 15,000, it’s quite a popular event and a prestigious one in the country. What are you anticipating heading into it? I’ve never done Manjimup before, so I’m just purely excited. I’ve only heard really good things about the event, how cool the track is and how prestigious it is as well – I’m just purely excited. Are there plans for any other races during the break, perhaps even internationally like last year? Nah, there aren’t any other plans to do any more races. Like I said, I’ll just keep working to make sure I stay on my toes and stick to a solid program. At the start of the year I thought this round was going to be a survival round because I’ve always gone so badly at Murray Bridge. I’ve never really had a good ride there, so I went in and just said to the team that I’d be happy to land on the podium – that was my goal. I ended up getting two podiums for the day which gave me the overall for being consistent, so it went far better than how I thought it would go. My goal is to always finish the day in front of second and third in the points – I want to make sure I beat who’s behind me in the championship on that day and increase my points lead. What is it about Murray Bridge that you dislike or made you think it wasn’t going to be a strong round? In juniors I had lots of bike problems there and in Under 19s I had a lots of first turn crashes – there’s never been a race there where I haven’t got arm-pump – it’s really fast and you’re holding on really tight – I’ve never been able to last more than 10 minutes for throwing the anchor out. 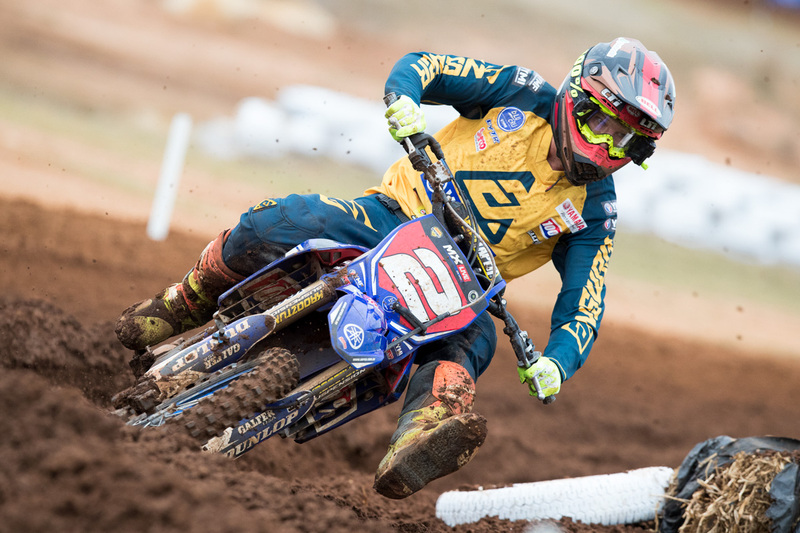 On the weekend I paced myself and didn’t push to the front as quick as I could at other tracks – I paced myself and I was able to hold my position. You’ve got a strong lead in the championship now, where’s your mindset at in managing it for the remainder of the series? I want to go into the races and keep doing what I’ve been doing, I can’t go into defence mode yet – we’re not even close to the end of the series. I still want to go out and fight for overalls, but my main goal is finishing in front of second and third in the standings – if it’s one point or 20 points, I just want to ground every weekend. Are there plans to take some time off during the break or will be contesting additional races to keep yourself sharp? I’m not sure. I don’t know what’s on around me at the moment because I’m currently driving to Brisbane to spend some time with the team – I’m not sure what races are on up there, but if there’s something on like the sunny states, I’d look into it for sure.